An idea or a process is best represented when presented in a diagram format rather than through a textual version. 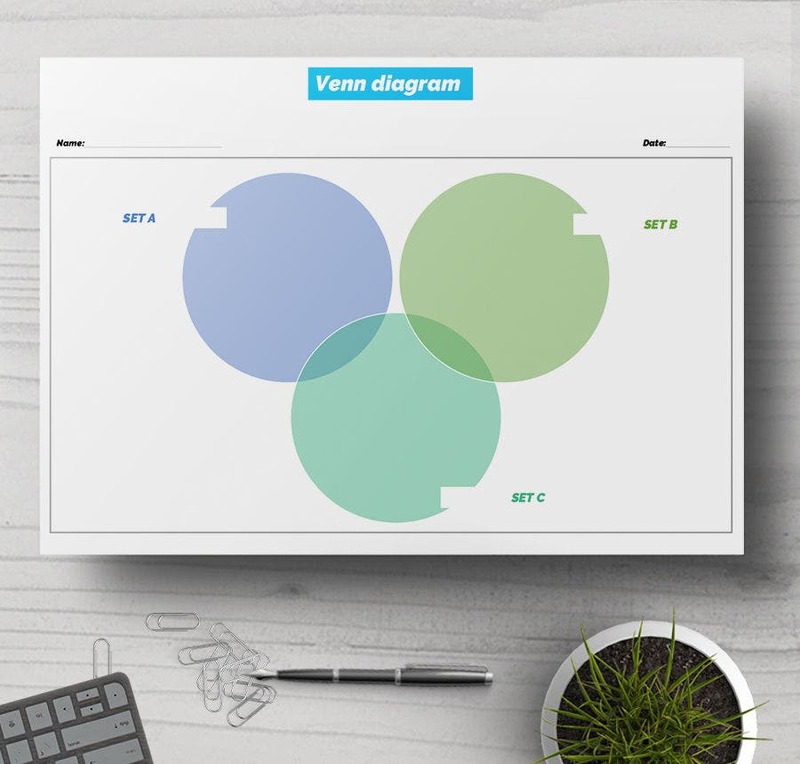 Thus, diagram templates have always been popular whether you are about to show a common link between multiple groups through a Venn diagram or your want to have a clear understanding of your story flow through a plot diagram. These diagram templates assure an easier grip on the concept through ideas or tasks divided into separate boxes in the needed sequence. 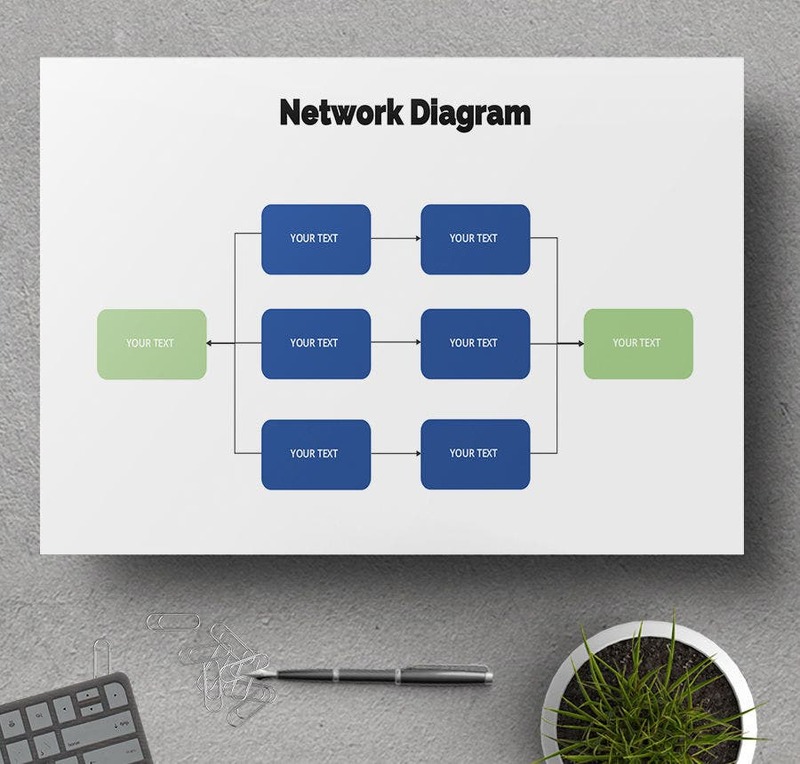 This network diagram template follows a smart professional approach with well-defined boxes neatly showing the relation the of the network hierarchy. It would be great for designers and engineers in computer telecommunication. 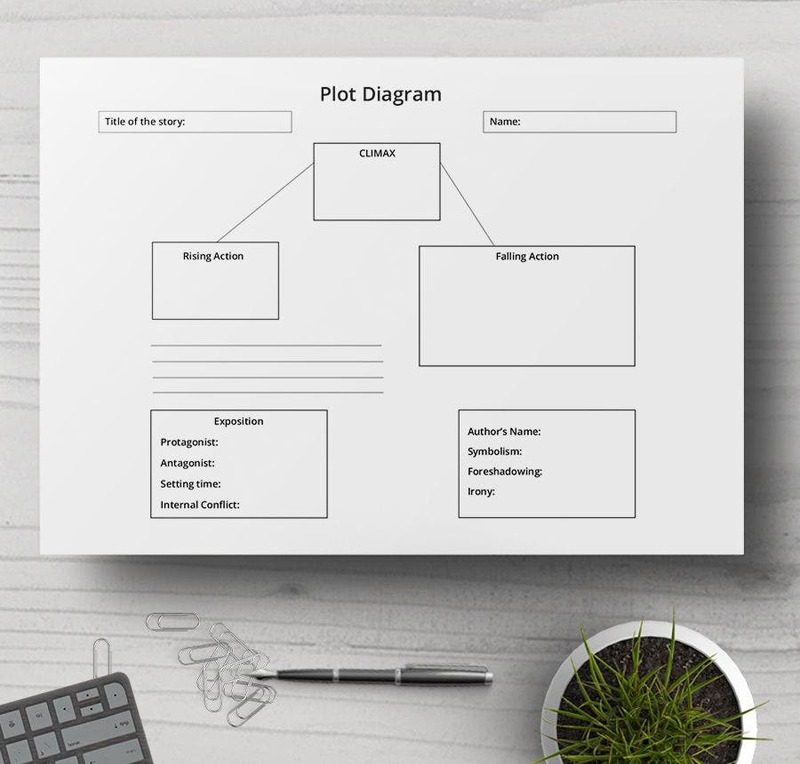 If you are constructing a movie or story plot, this plot diagram template will help you to construct the sequences properly by offering you segregated boxes for each aspect like rising action, falling action, climax, etc. This flow chart diagram would be helpful when you have to make a flowchart to discuss each subsequent step of a total process. You can include up to 3 primary stages here. If you are looking for a map that would have a visual representation of job sharing between each of the groups handling a project in the company, this diagram template is the thing for you. You can include data for up to 6 groups here. If you have to show or establish a common link between 3 different things, then this Venn diagram template would be really useful for you. 3 different colors have been used to define 3 different groups. 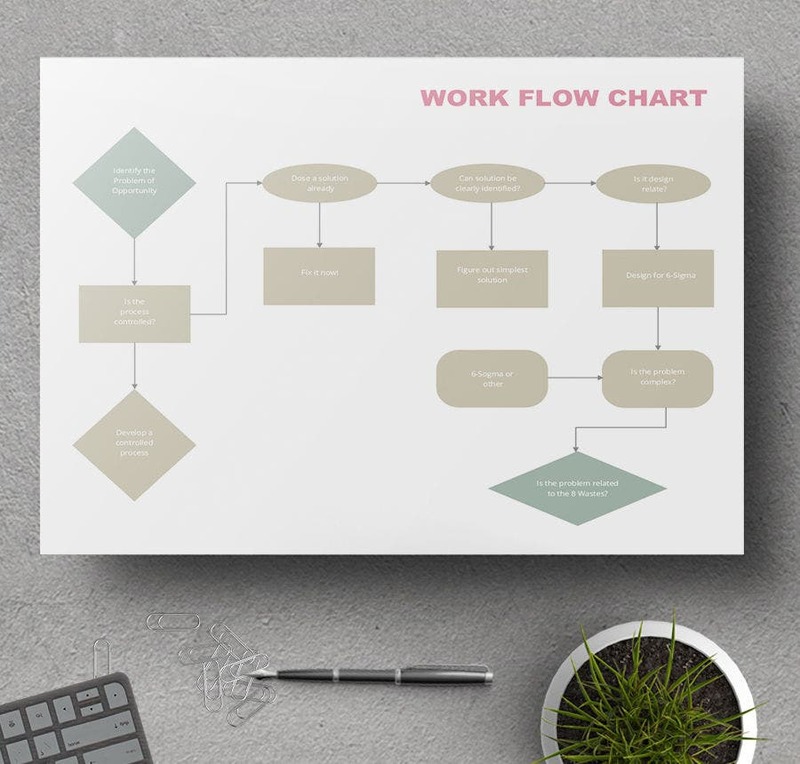 This workflow diagram template comes up with an elaborate break-up of the different tasks to be done to complete a process. It would be much useful when you have a detailed lengthy project to handle. A diagram template would be useful for a number of people and professionals, depending on the type of diagram. There are some diagram templates that are great solutions in a corporate setup. 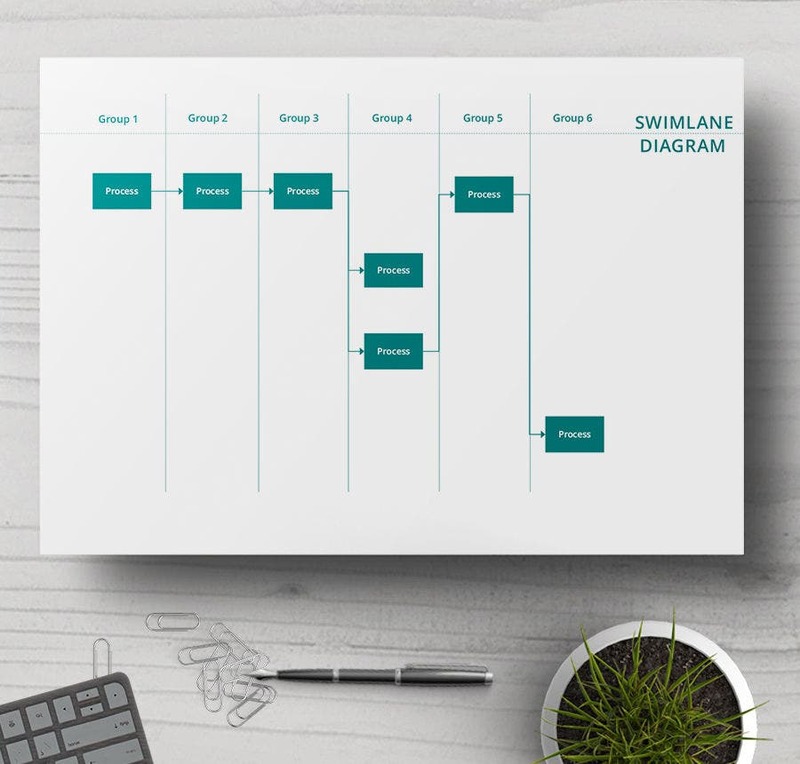 For example, you have swimlane diagram that can be used to map the share of job responsibilities among different groups in your office. 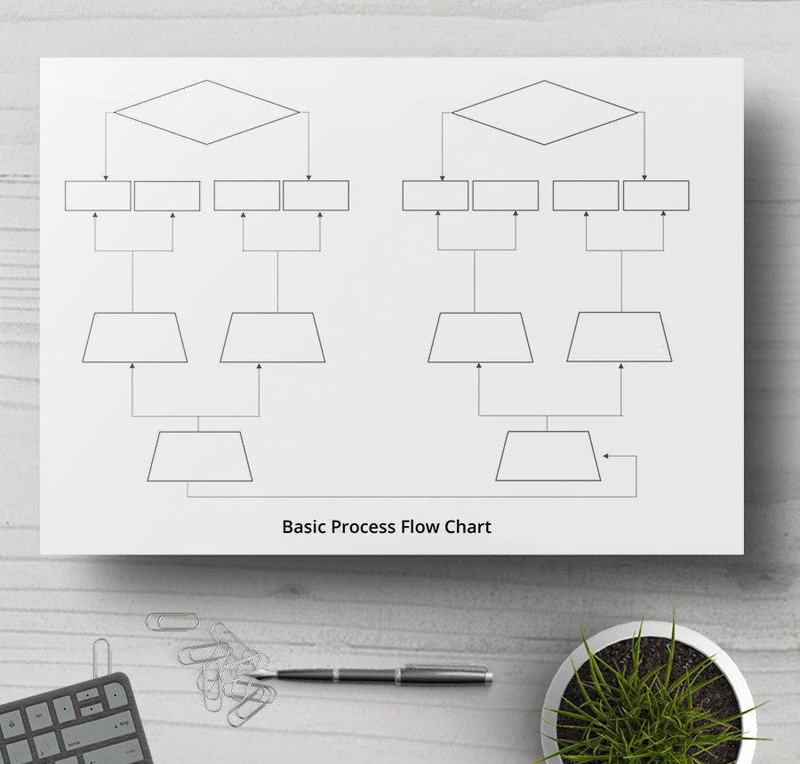 Then, there are workflow diagrams that are deployed to divide the tasks of a project in a proper sequence so that you know what to do after what. Besides, there are some diagram templates like Venn diagrams that are great for math students and teachers. In fact, authors would need diagram templates while constructing a plot. > What are the Benefits and Advantages of a Diagram Template? The main benefit of a diagram template is to offer you a visual map of the project or idea lying ahead. You might have textual information ready but long paragraphs of text can be really daunting. However, when you have the entire idea divided into charts and boxes, it becomes really easier to have a better grasp on how the things would be working. Thus, the diagram templates aim to help you with a clearer and faster understanding of the whole notion, whether it’s a breakup of your project tasks or a network documentation. These days you are not needed to draw the whole diagram from scratch, thanks to the readymade diagram templates.